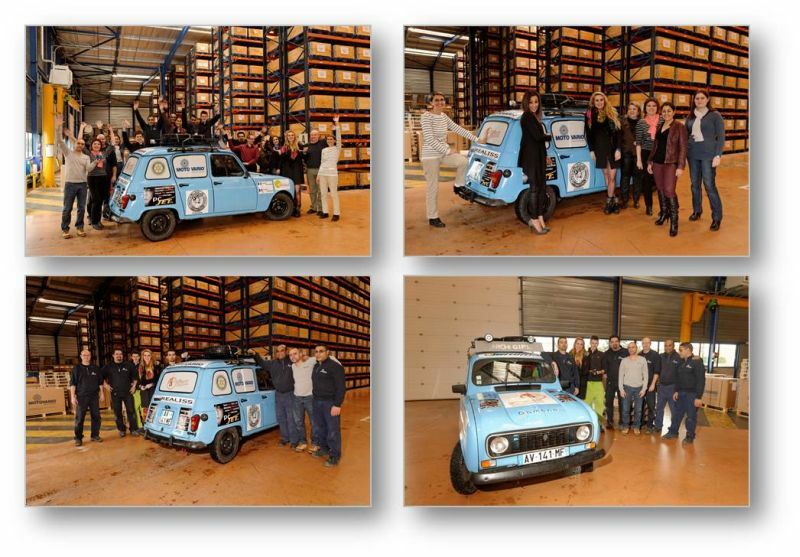 Mathilde Hirlemann and Laurence Passerieux are the students of the École nationale supérieure d'Architecture in Clermont Ferrand who make up the crew of 661 and will drive the blue Renault 4L model from France to Morocco through Spain: 6.000 km road to bring school equipment to the illiterate Moroccan children. 4L Trophy is the famous rally trophy, which will be held from 13 to 23 February, that Motovario is committed to support through its French subsidiary for the seventeenth edition of 2014. The event is organized by the French " Enfants du desert ", born with the desire to help physically and humanly poor children living in the most remote desert provinces. In Morocco, there are still many areas where illiteracy is particularly prevalent because of the cost of school supplies. "Learning to read, write and count is a right that should be accessible to all nowadays", Motovario shares this thought of the association " Enfants du desert ". The 661 crew preparation has already begun and Motovario will be at his side km after km!